Life on Spinalonga was far from being easy. Many times the leper patients on the island had to uprise in order to gain some basic benefits for their survival. In 1936 the 21 years old leper Epaminondas Remountakis, a law student from Crete was brought to the island. He was a very active man with strong will who was able to organize the lepers and create the 'Brotherhood of Spinalonga Patients". Very soon he managed to find lime to paint and decontaminate the houses of Spinalonga, while he fought to find and bring to the island an electricity generator to light up the streets during night. Tagged amazinggreece, amazing_greece, athensvoice, cretanlandscape, Crete, creteisland, explore, gf_greece, Greece, greecetravelgr1, greece_hero, greece_lovers, hdr_greece, igersgreece, igers_greece, ig_greece, kings_greece, lasithi, lifo, lifo_greece, mysticcrete, mysticgreece, nisi, perfect_greece, plaka, spinalonga, super_greece, team_greece, travel_greece, wu_greece. @kouzounaskitchen I guess you have read the book already, right? @giannis.82 No I watched the show, the book is next. My friend Yvonne met the author of the book, and I can’t wait to meet her too. @giannis.82 Lol I was one of the crying people ha! 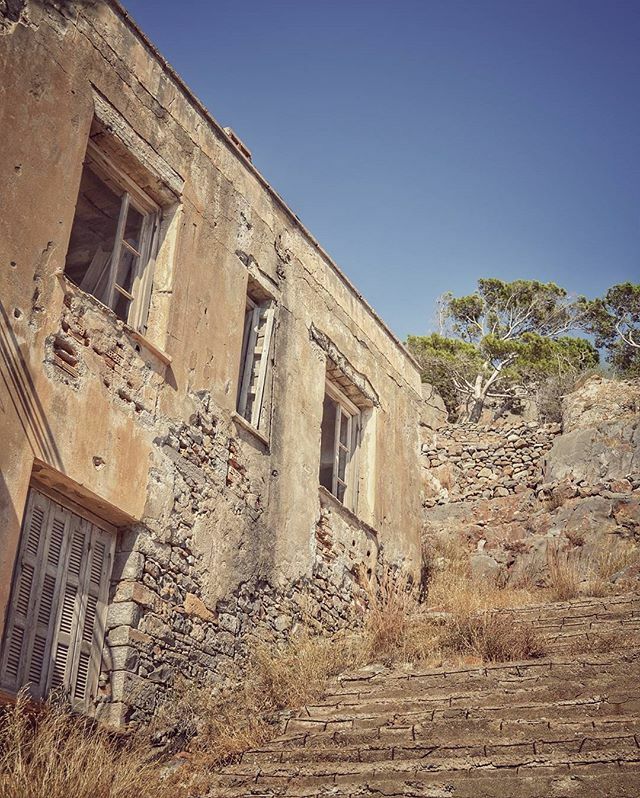 But once you step in Spinalonga you feel the energy of the people who once lived there. I’m glad you enjoyed the show! I need to read the book.